Frances Goldin, a 92-year-old activist, has been faithfully attending Gay Pride marches for decades with the same message every time. Her daughters told BuzzFeed she has been supporting them with the sweet sign for as long as they can remember. 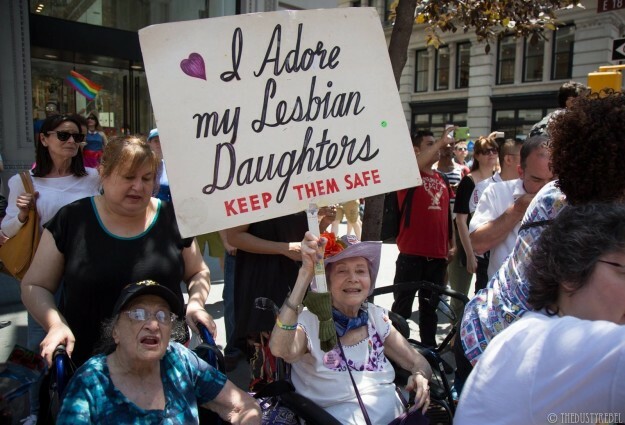 The sign says, "I Adore my Lesbian Daughters KEEP THEM SAFE." 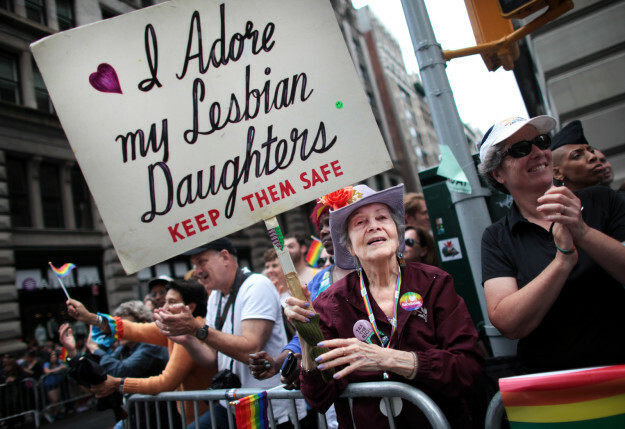 "I adore my lesbian daughters, keep them safe," said a sign held by 73-year-old Frances Goldin, who said society allows discrimination against gays and lesbians. She said her two daughters were marching in the parades in Portland, Ore., and San Francisco. Goldin said people had approached her with their phone numbers, asking: "Can I adopt you as my mother?" The photos of Goldin holding the sign throughout the years have been circulating on Twitter and Trumblr for quite some time. 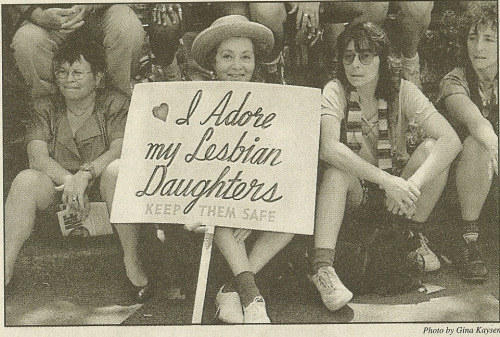 This newspaper image showing a woman holding a sign that reads "I adore my lesbian daughters. Keep them safe" has been floating all around the internet for quite some time now — maybe you've seen it?